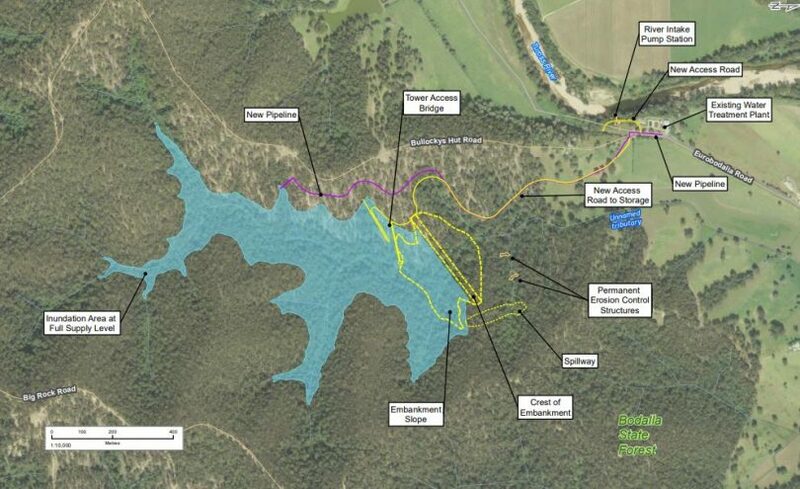 Plans for a new dam at Bodalla on the banks of the Tuross River have been released for public comment. Image: ESC. Eurobodalla Shire Council has released plans for a second water supply storage in the shire. 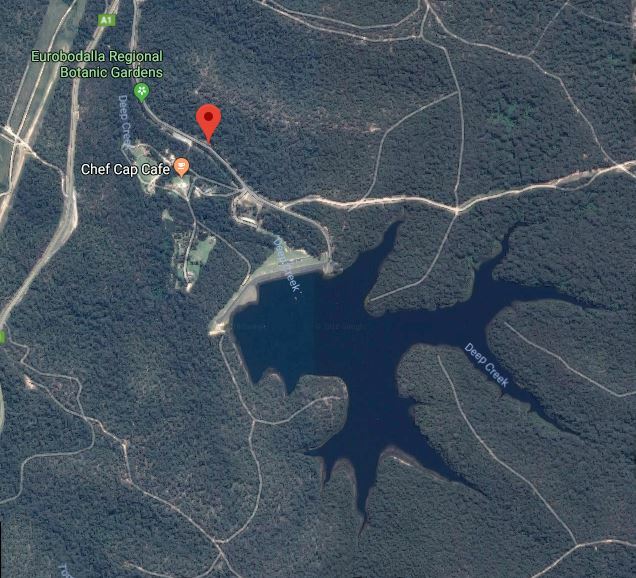 Concept designs for a new $100 million dam near Bodalla are now complete and available for the community to view and make comment on. The proposed facility is unlike a traditional dam in that it is off-stream, with water pumped to it from the Tuross River. Pumping can be maximised in times of high river flow following heavy rainfall, while reduced pumping in low river flows will help sustain the natural river system. Eurobodalla Mayor Liz Innes says the facility will have the capacity to store 3,000 million litres and will help drought-proof Eurobodalla’s water supply. “The project was flagged back in 2003 but was put on the backburner due to the success of our water-saving programs and less-than-predicted population growth,” she says. For the dam to work and progress, more than the river needs to flow. “This is a change in government policy for the right reasons, but we believe both the NSW and Australian governments should support local ratepayers by providing substantial grant funding toward the new storage facility,” Cr Innes says. Deep Creek Dam, just south of Batemans Bay. Photo: Google Maps. The Tuross River already provides a source of water for the southern parts of the Eurobodalla via a small treatment plant and direct pumping into water supply reservoirs, while Council’s northern water supply is at Deep Creek Dam, just south of Batemans Bay. Built in 1983, Deep Creek Dam holds 4,900 million litres of water pumped from the Deua River with Buckenboura River providing a backup supply. To view the plans and provide feedback, go to Council’s website. The closing date for submissions is Friday, April 27.